Shen Jilan, deputy secretary of the CPC Xigou Village Committee of Shanxi Province, has served as a deputy to the NPC (National People's Congress) since its initial meeting in 1954. Her half-century term has led to her being dubbed "the world's longest-serving congresswoman" by her overseas friends. As early as the spring of 1952, Shen campaigned for "equal pay for equal work" between men and women. Her pioneering efforts prompted her election to the NPC's maiden session two years later, and Chinese women achieved equal pay when it was adopted into the Constitution in 1954. Over the past several decades, Shen has led Xigou Village in planting nearly 1,667 hectares of trees, constructing more than 800 dams and developing 60 hectares of land reclamation. 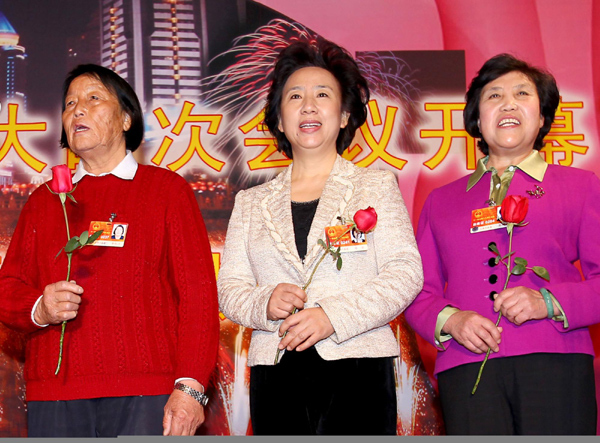 She has been awarded the title of "National Model Worker" three times, and was honored as "National Excellent Communist Party Member" in 2001.